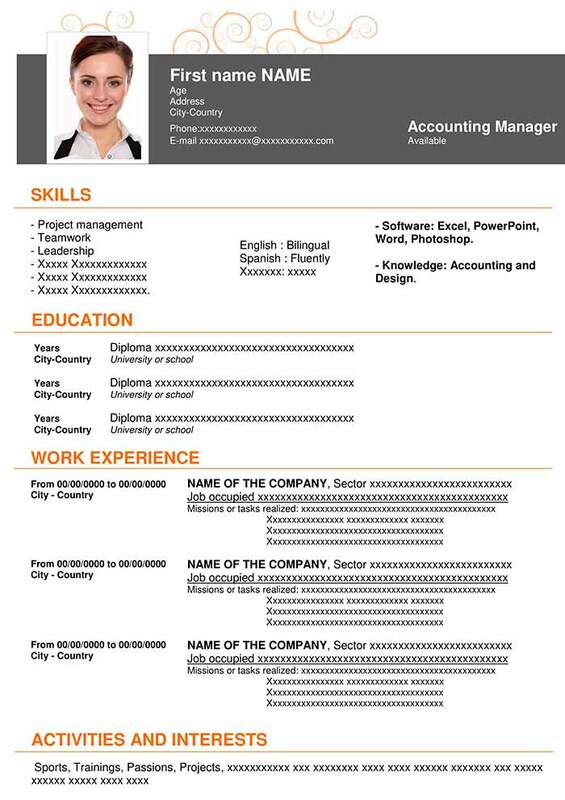 Our CV templates are available to you to download, then fill out before printing. 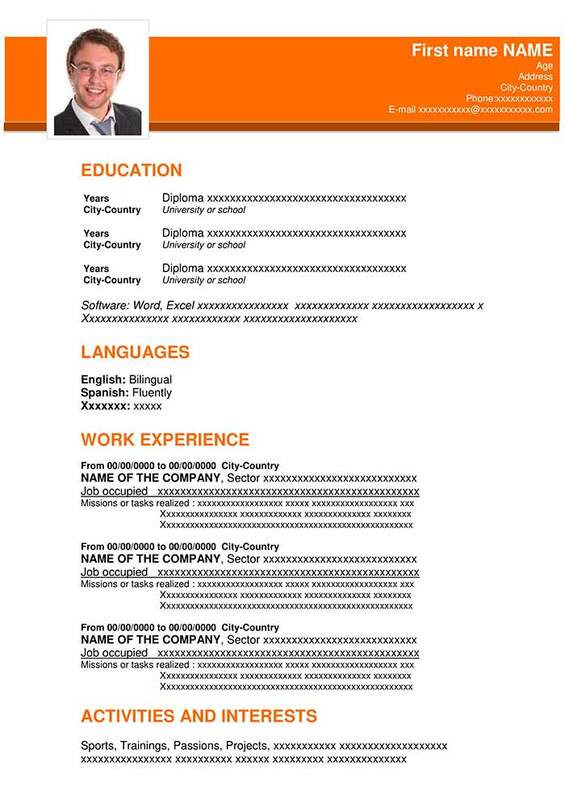 Our free CV template Word are totally modifiable and customizable. 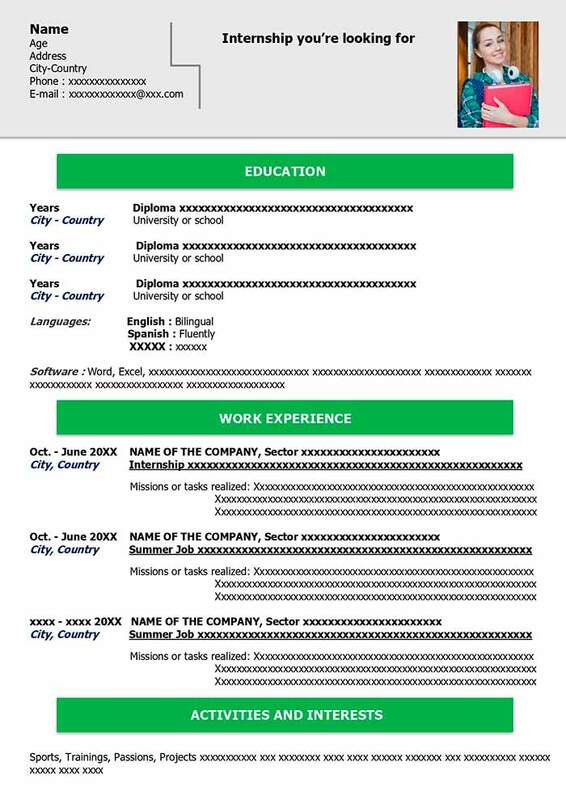 They are compatible with different versions of Word (Word 2013, Word 2010, Word 2007, and Word 2003), so you will not have any unpleasant surprises. 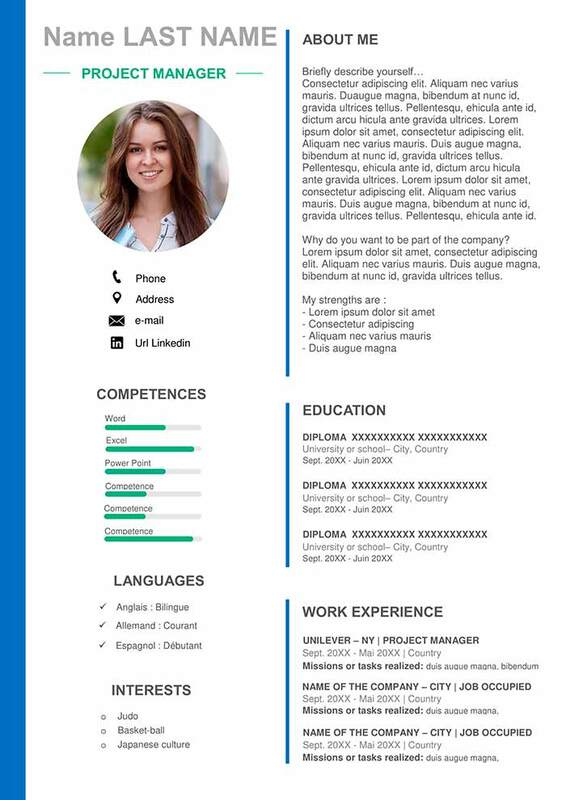 How do I choose the design of my CV template ? 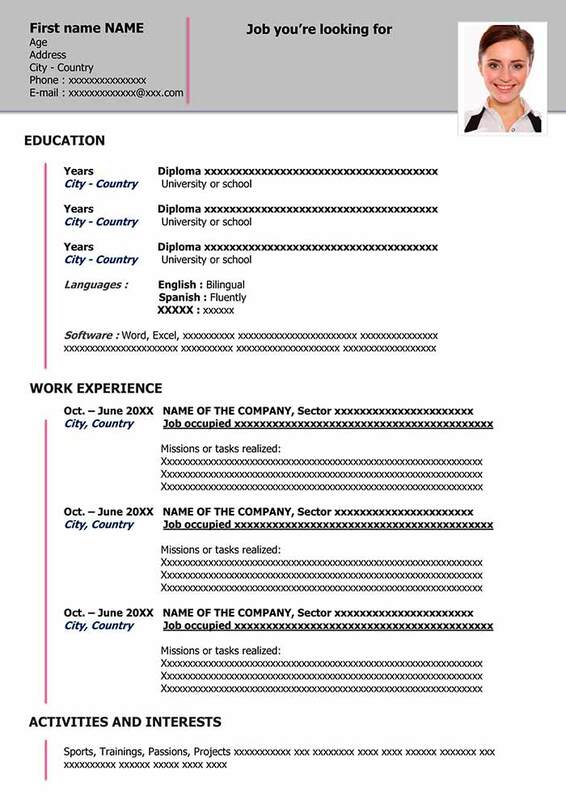 What should I write in my curriculum vitae? 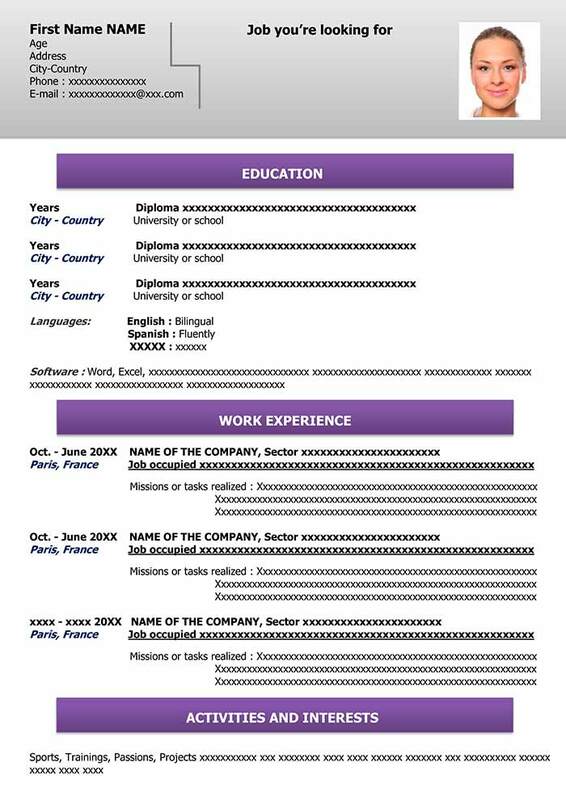 Our CV examples spare you from starting from scratch and help answer some of your questions about the creation of your CV. 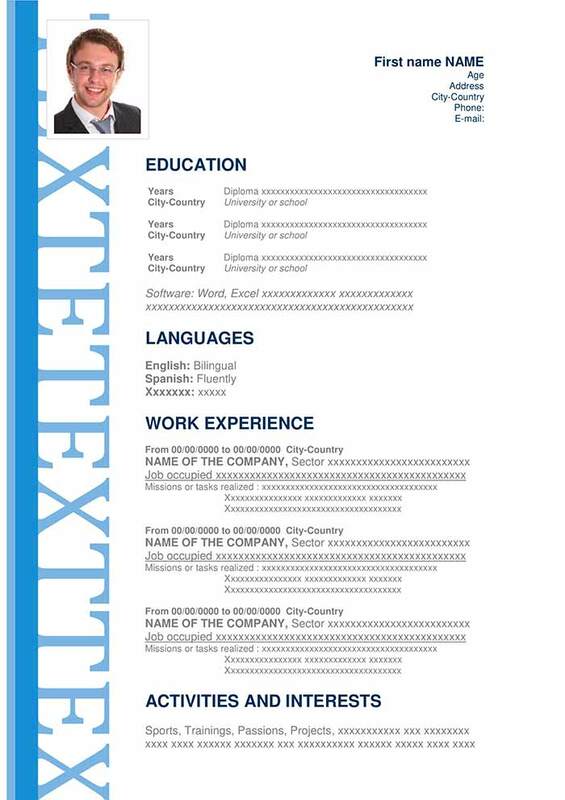 Whether you’re an accountant, student, unemployed, looking for an internship…our free CV templates are adaptable to any profile. 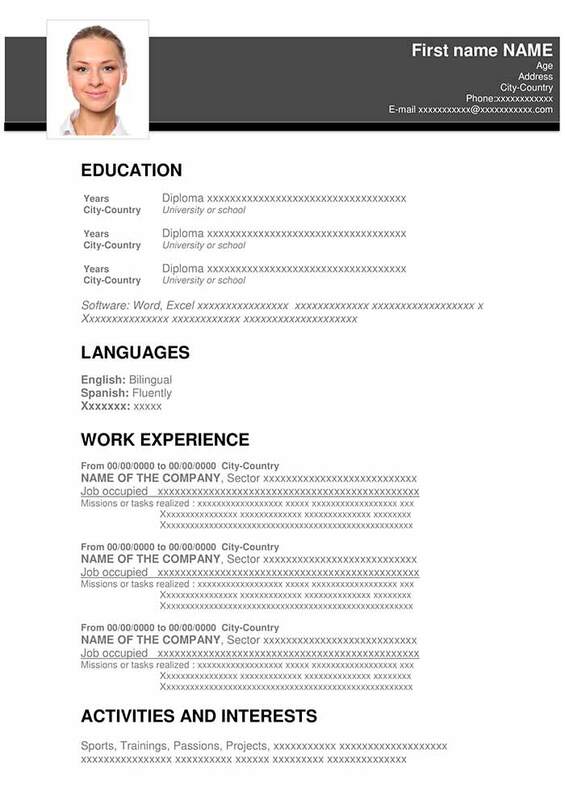 Your curriculum vitae should “sell” you. 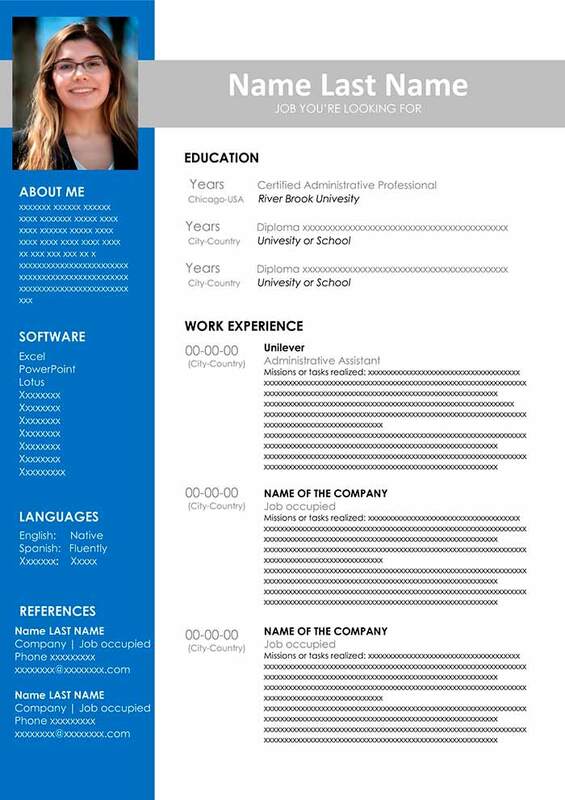 It should help you stand out from your competitors in the eyes of the recruiter. It is important, then, that you highlight your abilities, your qualities, your experience…. 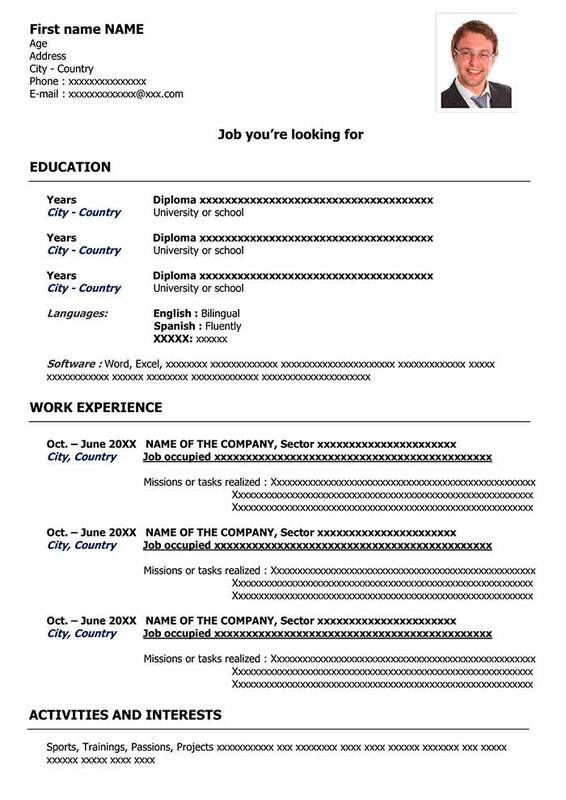 You must be able to create a perfect CV template that’s attractive, that sells you, and that above all reflects your personality.